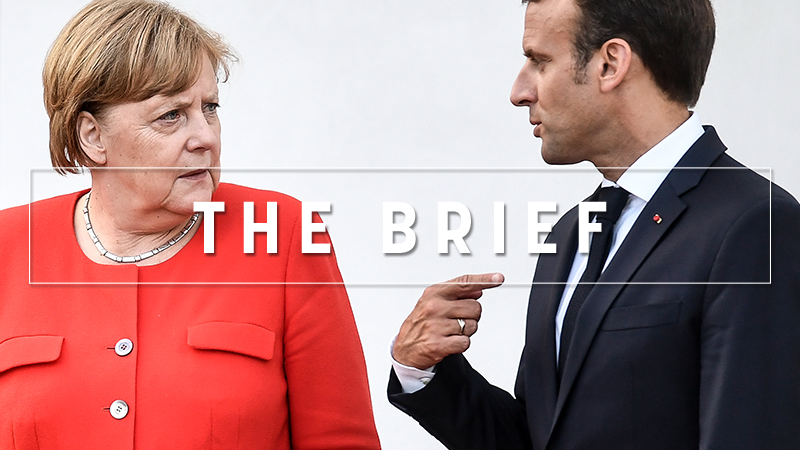 Emmanuel Macron’s European dream ran into a wall of national politics at last week’s EU summit. A swing to the right of the European agenda appeared to trump the in-depth economic reforms championed by the French president. Macron had wanted to step up economic convergence within the euro area but what was to be his moment of triumph turned into an all-nighter of bitter discussions on migration. The date for debating reform of the Economic and Monetary Union was set more than a year ago. But the commitment to creating a eurozone budget was postponed until next December. Even the proposed safety net, or “backstop” needed to implement the banking union, has been put off. All in all, slim results for the ambitious French leader. As for Brexit, due to lack of proposals from the British side, the discussion lasted just five minutes. Defence was the only subject on which the French president could find some satisfaction: in less than a year, a permanent cooperation structure has been set up, as well as an intervention force common to nine countries. Elected more than a year ago on the back of a pro-European campaign, Macron the europhile insisted on playing a leading role at the summit, even if it meant signing off on a compromise that makes concessions to Europhobes and has little in common with the European values he defends. The migration issue already casts a shadow on Macron’s record in France. The country’s tough position on the subject is heavily criticised by NGOs and the French left. And Macron enabled Italy’s hard right to have its grievances answered. France chose to support Italy’s new PM from outset, insisting on the need to show solidarity with Rome, despite the Italian interior minister’s repeated and pronounced anti-migrant and anti-Roma stance. France and Italy worked together on a proposal to get everyone on board: closed centres, increased interventions in Africa in the countries of departure, and a commitment to revise the Dublin regulation in the medium term. “Solidarity has been upheld,” according to the French government. Several interruptions and mini-crises made the negotiations last until the early hours of the morning between 28 and 29 June. Hungarian Prime Minister Viktor Orban also tried to temporarily block the conclusions, and France also had to appease the fears of the Visegrad countries by agreeing to exempt them from their duty to welcome migrants. The most radical proposals suggested by the Eastern European countries, and the Council President Donald Tusk, were not entirely rejected. Along those lines, the idea of “regional disembarkation platforms” for people saved in the southern Mediterranean was maintained, though in vague wording. And the idea of “controlled centres” was upheld in an effort to keep migrants in countries of first entry. This project was quickly denounced by the UN High Commissioner for Refugees in view of its fragile legal basis: international and national rules on asylum strictly limit the possibility of depriving migrants of their freedom. Meanwhile, debate continues on where to locate these “controlled centres”, which are to be set up in member states, only on a voluntary basis. France believes EU countries should automatically accept the establishment of such centres on their territory if they are a country of first entry. This is already the case for Spain and Greece, but Italy has yet to agree. Finally, the longer-term project of revising the Dublin regulation did get a mention. But talks on reforming the EU’s asylum system have been pushed back to December “whereas Austria didn’t want to hear about it”, according to a French source. To top it all, the Franco-German relationship appears to come out relatively weakened from the two-day summit. For the first time since Macron’s election, the leaders of the two countries did not give a joint press conference at the end of the summit. Most importantly, Merkel ensured Macron’s pet project of creating a eurozone budget was not even mentioned during talks on economic issues, which touched on a related project to strengthen the EU’s bailout fund – the European Stability Mechanism – but also attested to a lack of overt ambition for the eurozone. Macron’s European dream definitely seems to lack support. How explosive will the Merkel-Seehofer row be? CSU’s Horst Seehofer offered to step down over border bans during a fiery closed-door meeting on Sunday. So far, the ‘Horst case scenario’ has not happened and there is still a German coalition walking through the streets of Berlin. Austria took over the rotating EU presidency, with focus on immigration, digitalisation and Western Balkans. EURACTIV’s partner Euroefe reports. What to make of the EU’s migration compromise? ‘Controlled centres’ for migrants – not ‘hotspots’, say EU leaders. Other topics fell victim to the heated debate: EU leaders had to postpone the completion of a banking union and Brexit was only touched upon. On Poland, however, the Commission did initiate infringement proceedings against the country because of the controversial Supreme Court Act, but gave Warsaw one month to answer. Over the last four years, Ukraine has made some tremendous changes to become a functioning market economy and a liberal democracy, a feat which is scarcely recognised by others, writes Ivan Mikloš. Presidents Donald Trump and Vladimir Putin will meet for the Helsinki summit in mid-June to discuss Russian-American relations, the situation in Syria and Ukraine as well as arms control. Eastern Europeans are rather concerned. Over the weekend, Simone Veil was buried at the Panthéon. For her, a Europe was possible whose pillars were a France and Germany that had left their past behind them, writes French Philosopher Bernard-Henri Lévy. Unions met in Brussels to discuss how they can reshape the role of labour markets in a world where multilateral cooperation is in crisis. What’s driving Europe’s strategy on connected cars? Read our Special Report on how a recent proposal could become a make-or-break moment for the future of connected and driverless cars. Bulgaria hands over the Council presidency to Austria as Bulgarian Prime Minister Boyko Borissov and Austrian Chancellor Sebastian Kurz are to discuss legislative progress in the Council with MEPs and Jean-Claude Juncker on Tuesday morning in the Strasbourg session, in separate debates. Kurz will present the priorities of the incoming presidency. Another big surprise of this unpredictable World Cup: Russia is through, Spain is out. Malicious gossip has it that unexpected VAR referees have been spotted. Meanwhile, the Croatia-Denmark match saw a thrilling penalty shootout, with Denmark’s man of the match. Can we have information about the authors of the articles as a footnote or other mode, like in other major publications?